Barbara De Poli teaches contemporary history of Islamic countries and political thought of Islamic countries at Ca’ Foscari University, Venice. 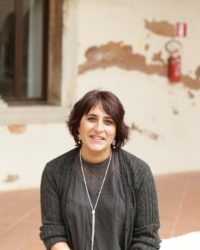 She is the scientific coordinator of the Center for Contemporary Middle East Studies (CEM) at the same university, and board member of the Centre for Human Rights Studies (CESTUDIR). Her main field of research are the processes of Westernization and secularization occurring since the nineteenth century in the MENA region focusing on the interactions between institutions, society, and the religious sphere, by comparing theoretical aspects and practices. “The Judeo-Masonic Conspiracy: The Path from the Cemetery of Prague to Arab Anti-Zionist Propaganda.” Conspiracy Theories in the Middle East and the United States: A Comparative Approach, edited by Michael Butter and Maurus Reinkowski, FRIAS – Freiburg Institute for Advanced Studies, Albert-Ludwigs-Universität Freiburg, 2014, pp. 251–71. “Anti-Jewish and Anti-Zionist Conspiracism in the Arab World: Historical and Political Roots.” Handbook on Conspiracy Theory and Contemporary Religion, edited by Asbjørn Dyrendal, David Robertson, and Egil Asprem, Brill.